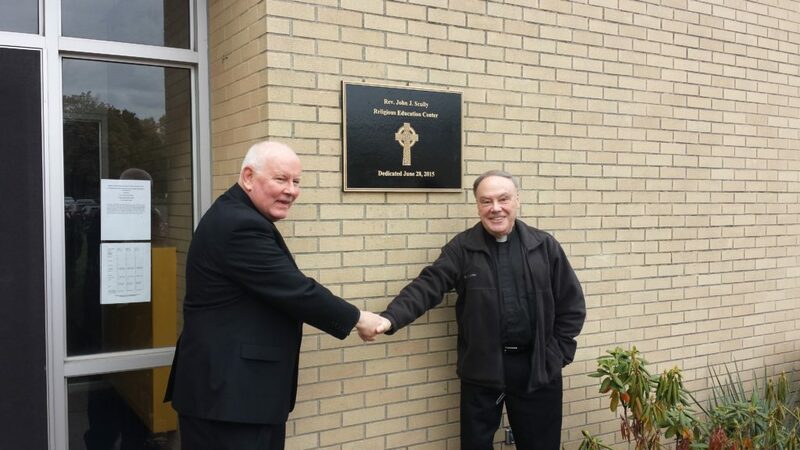 St. Clement’s paid our former pastor, Father John Scully, a tribute on Sunday, November 1 after the 11 am mass, which was celebrated by Father Scully. 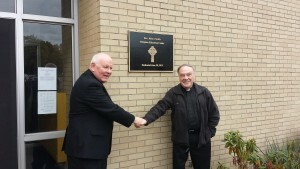 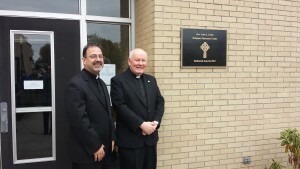 Our Religious Education Center was dedicated to Father Scully. 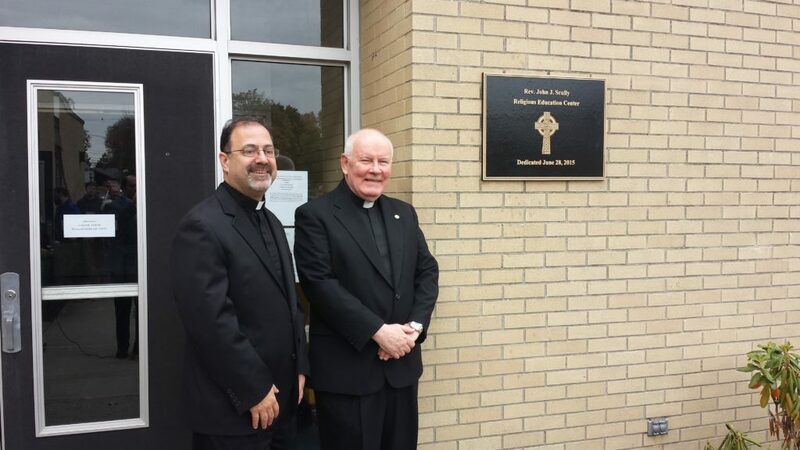 Pictured below is our own Father Tom Vala with Father Scully at the dedication, and a picture of Father Scully with his friend Father Eugene Roberts of St Gabriel’s in Marlboro who came to congratulate his fellow priest.